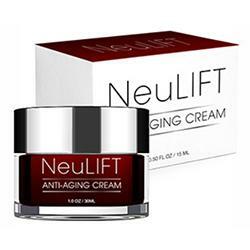 Neulift Anti-Aging Cream Review (2019): Does It Really Deliver Results? Neulift Anti-Aging Cream Review: Is It Really Effective? NeuLift Anti-Aging Cream works to reverse and prevent wrinkles, fine lines, sagging, and other signs of aging that present themselves over times. It is a Anti-Aging cream safer alternative to invasive surgical procedures meant to restore youth to the skin. A free trial of NeuLift can be requested as trial offer for up to 14 days. Not returning the product on time results in a charge of $89.95 and automatic enrollment to a monthly shipping program that can be canceled by the customer. Retinol (2.5%): An over the counter form of tretinoin, which is a version of vitamin A that reverses effects of sun damage, tightens the pores, and promotes an even skin texture. Stimulates the production of collagen and elastin in the skin, as well as blood flow. Decreases fine lines, wrinkles, and other signs of aging, thus promoting a more radiant appearance. Those with extremely sensitive or dry skin may experience irritation or increased dryness. Creams and other products containing retinol also make the skin more sensitive to the sun’s rays. As such, most products containing this ingredient are meant to be used at night. Antioxidants: Prevent oxidation in the skin in order to decrease damage caused by the sun, pollutants, and other external factors. Clean the skin and pat dry. Apply an even, thin layer all over the face and gently massage until it is fully absorbed into the skin. Wait 5-10 minutes for the cream to settle into the skin before following up with the rest of your beauty routine. Leaves skin moisturized, more supple, and prevents further damage caused by aging. 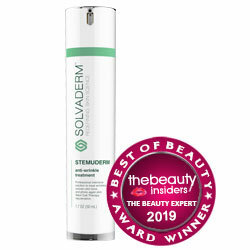 Includes retinol, which has been proven effective in improving the skin’s condition. Available through a trial period that allows potential consumers to test the product before paying its full cost. NeuLift Anti-Aging Cream has not been associated with negative side effects. Little information is disclosed about the product’s manufacturer. Customers cannot buy the product upfront, and many may not be interested in being a part of a monthly enrollment program. Retinol, though effective for tightening pores, can also irritate or dry the skin, and it is known to make skin more susceptible to sensitivity. At $89.95, the cost of the product is high compared to other anti-aging creams in the market. Containing retinol, NeuLift Anti-Aging cream was created to fight wrinkles, fine lines, and other signs of aging.. The cream contains antioxidants and retinol, both of which play a role in ensuring the skin stays firm, and in diminishing signifiers of aging such as wrinkles, sagging, and fine lines. However, retinol has been linked to increased skin sensitivity and could cause dryness in people with very sensitive skin. In addition, customers that do not return the cream on time are charged the price of $89.95, which is considered high amongst products that do not mention a full list of ingredients. Various anti-aging products allow a more direct purchase and provide more information.